How do I find a good yacht charter broker? You should make sure you feel comfortable with and trust your yacht charter broker. It’s important they listen to your needs and your questions are answered in a timely and professional manner. Obviously they should be knowledgeable about yacht charters. Every one of Akasia yacht charter brokers are very experienced with each broker having years of experience. Each broker having repeat clients defines their track record of satisfied clients. Contact us to experience the same premier yacht charter service. How do you pass the time on a yacht charter? Consider your charter yacht is your traveling luxury home, where it can take you to various islands or ports where you can explore . Consider it also your floating water sports platform from which you can swim, water ski, snorkel, each yacht prides itself on it’s selection of water toys. Consider it to have endless 360 degree views. Consider the answer to be, Do what you want, when you want, the options are countless. Where do yacht charters start and end? Fully crewed Luxury yachts are available in all major cruising waters around the world, unlike cruise ships they do not limit themselves to fixed duration so you can start a yacht charter when you want for as long as you want and it can begin and end where you want. We can help you plan suitable start and end destinations dependant on the part of the world you are interested in. You’ll need to be able to relax and enjoy the best vacation experience you can imagine, the captain and crew will take care of everything else! Of course you’’ll need your passport but that’’s about it. You don’’t have to go shopping for food and drinks, clean the yacht, cook your dinner or wash up! But you are required to have a good time! Can I be reached while away? Many large yachts have Satellite phone capability and many locations these days have cell phone coverage , most of the yachts have Internet access via 3G or satellite. There are No extra charges for this and cell coverage might be limited as you know. if you are on a very remote idyllic anchorage with not a house or person in sight, you cell phone may not work. We can get you the yachts contact information to share with your family and friends before you leave. How do I choose the right yacht? That’s where we can help, this is what we do better than anyone else. 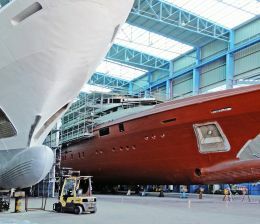 The size of your family or number of guests will help us identify yachts with the right number and type of staterooms. Their ages and interests will help further to ensure the yacht is correctly equipped and crewed. When will you be going? The yachts are typically available on a weekly or daily basis with a large amount of flexibility on start dates and duration. Unlike vacation villas though, they do move around to meet the needs of their clients. If you have a set of dates or approximate dates as well as ideas for destinations, we will be able to find the yachts that are available when you want to travel and where you want to cruise. Some yachts and destinations can be very popular so it’s best to plan as soon as you can; sometimes the best yachts are already pre booked a year in advance. Motor yachts travel fasterand tend to be larger, typically appealing to those who prefer a luxurious and elegant lifestyle. Sailing yachts, while also luxurious, typically accommodate fewer guests and more often appeal to those who have a romance with the sea and a relish to feel the wind and motion of the oceans. In some locations sailing yacht charters may be fully inclusive of meals and fuel, whereas for motor yachts meals and fuel typically would be in addition to the base charter fee. How much is your total budget? Knowing how much you want to spend is the last element to help us find the ideal yacht for you. Your budget should include everything except the travel costs to your destination; i.e. it should cover accommodations, meals, beverages, and associated gratuities for all in your party. 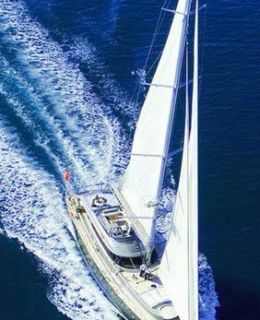 Akasia Yachting represents various set of charter yachts. We have access to countless charter yachts worldwide and have the largest selections available for you to browse online. We will listen to your needs, usually talking to you by phone to get to know you better and to learn what you are looking for. After researching and discussing options with the management of possible yachts to find you the very best choices, we typically would then present you with the full details of a number of available yachts. 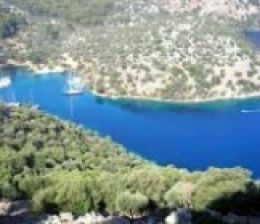 Once you have reviewed the initial suggestions, we will explain the terms of each and then identify further choices based on your feedback until we find your ideal charter yacht. We personally visit many yachts during each year in different charter destinations to ensure we have the fullest knowledge of the worldwide fleet for our clients. We’ll help you plan where to go, communicate to the crew your preferences, and remain available to you throughout the planning process until your charter ends. We are happy to work with you over several days or several months until we find just the right yacht for you. How do we reserve the yacht? All yachts are booked using Mediterranean yacht brokers association ( MYBA ) Charter Agreement. The terms may seem overwhelming at first, but we are there to explain the process and ensure that you are satisfied with the terms. Any and all questions you may have of the Captain or owner of the yacht will be answered. Once you are ready to sign the agreement, you will be asked for a 50% down payment. This, with the fully signed agreement, constitutes a confirmed booking of the yacht. Can I choose the food? You will be sent a fairly detailed questionnaire asking you about your preferences for food, beverages and any dietary or medical needs you or someone in your party may have. This is critical so that your crew will have the yacht ready and provisioned, with everything customized for you to enjoy the perfect charter. Final payment and usually your APA (Advance Provisioning Allowance) are due thirty days prior to departure. The APA is based on your cruising plans discussed during the selection process. If it is listed in the terms on your charter agreement, you will be asked to send funds to cover this at the same time as your final payment. During your charter the Captain will monitor expenditures and reconcile actual expenses against these advanced funds for you at the end of your charter and return to you the balance if any. The charter agreement will document what happens in various circumstances if the charter is cancelled. Cancellation insurance is available to protect your funds should unforeseen circumstances prevent or cut short your charter. Ask our charter professional about these options as you complete your charter selection. A luxury yacht charter is customized to your needs. The Captain will always try to comply with your wishes and he may be able to present various possibilities, when available, to meet your needs. However, his primary responsibility is for the safety of his passengers and the yacht and, should a circumstance arise, he has the final decision on safety issues. At the end of every charter, at your discretion, it is customary to tip the Captain and crew. If you have had a wonderful time and think it was as a result of long hours and attention to detail by the crew, Depending on your satisfaction with the crew then 10% of the base charter fee may be fair. Exceptional service warrants higher but always at your discretion. Contact us now with any other question you have or just to see if we can help you!